The BoBunny Blog: Off The Page With Secret Garden! Off The Page With Secret Garden! 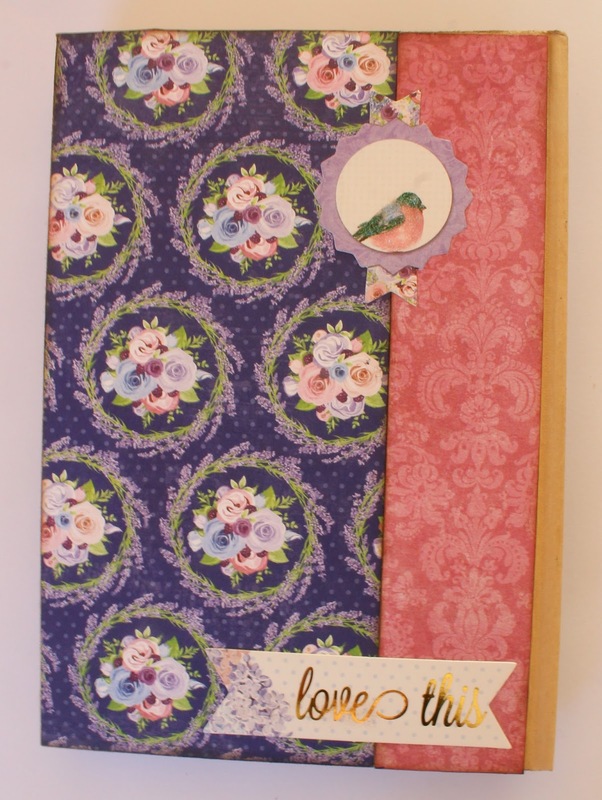 It's Romy here today and I would like to show you a notebook that I altered with the gorgeous Secret Garden papers and embellishments and the brand new 'Birds of a Feather' stamp set. 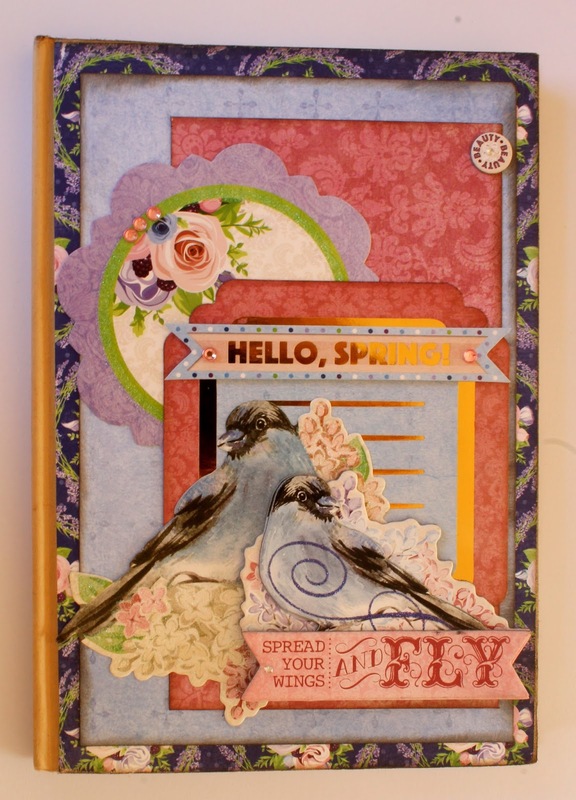 I covered the front side of the notebook with a few sheets of paper and several Noteworthy die-cuts. I also attached a Layered Chipboard sticker to the cover for some extra dimension. By using both a die-cut bird from the Noteworthy package and a chipboard bird, I managed to make it look like a pair of love birds. I didn't want the inside pages of the notebook to look boring either, so I stamped several feathers on the pages inside the notebook. 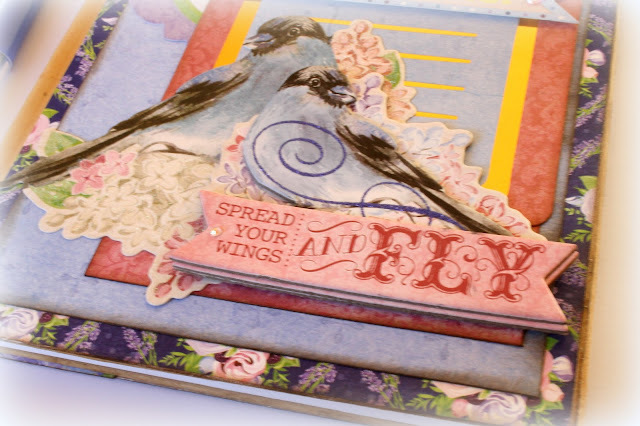 I stamped some feathers directly on the pages and some of them were stamped on patterned paper and were then cut out. 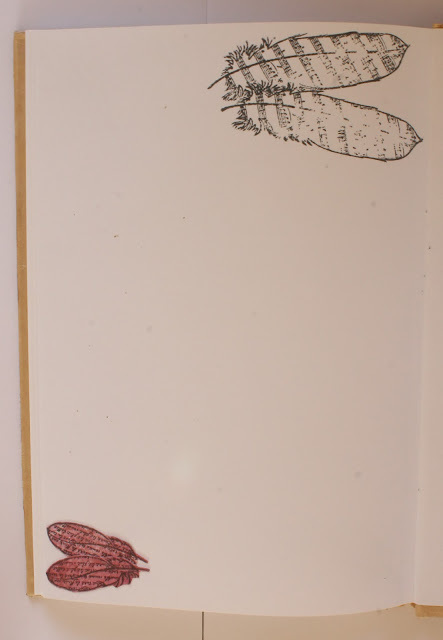 The back side of the notebook was decorated with the same papers as the front side. I also added two Noteworthy glitter die-cuts as a finishing touch. Thank you for stopping by on the Bo Bunny blog today! How can I order the stamps .